For REFERENCE: You can build your own right triangular prism in the applet below. 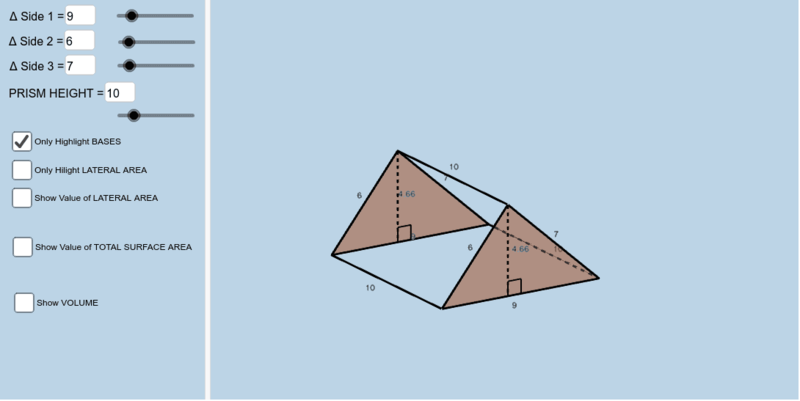 Simply enter the three side lengths of the base triangle and the height (depth) of the prism in the applet below. You can click appropriate checkboxes, rotate/move the prism, etc... as needed.